Eric L. Hutton and I are very pleased to announce the launch of a new book series devoted exclusively to translations of Chinese philosophical and religious texts, Oxford Chinese Thought. The series will be published by Oxford University Press and, at least initially, all books will be released immediately into paperback. 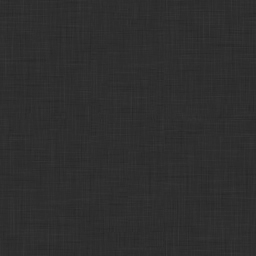 As most readers of this blog know, there is a vast body of philosophical and religious literature in Chinese and only the thinnest slice of it — barely a sliver — has been translated into English, which has created major obstacles to teaching and scholarship on Chinese thought, especially to teaching the post-classical thinkers in depth. Oxford Chinese Thought aims to address this longstanding challenge by providing high-quality English translations that are well suited for classroom use. Translations are solicited by the series editors in consultation with the advisory board. We intend to focus primarily on post-Han texts that played significant roles in shaping Chinese thought. The first book in the series will be Zhu Xi: Selected Writings, edited by Philip J. Ivanhoe and to be published by July of 2019. 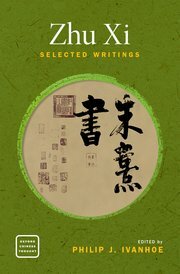 This is the first comprehensive reader of Zhu Xi, with selections of Zhu’s writings or lessons on a wide variety of topics, including his ethics, metaphysics, political thought, views on ghosts and spirits, objections to Daoism and Buddhism, selected commentaries, and his thoughts on literature, poetry, and current social conditions. We hope the book will be of use to scholars and teachers of philosophy, religion, history and literature. The second book will be a translation of the Treatise on Awakening Mahāyāna Faith, by John Jorgensen, Dan Lusthaus, John Makeham, and Mark Strange, to be published by October of 2019. This treatise is quite plausibly the most influential systematic text in Chinese Buddhism, marking a departure from Indian Buddhism and raising the issues in Buddhist metaphysics and Buddhist practice that became central for practitioners of Chan, Huayan, Tiantai, and to some extent Pure Land Buddhism. Wonderful! It’s also wonderful to see that the web site for the book has a link to all the Chinese text. Will that be true of all the volumes? Thanks, Bill. Yes, we really think that providing the Chinese text amplifies the value of these translations for scholars, so we are trying our best to include them whenever we can. We cannot commit to having a companion website with the Chinese text for each volume in the series, but we will encourage authors to provide a file with Chinese text to accompany their translations, where feasible. Glad you noticed that! This is great news. Hsu Naiyi and I will be completing a translation of the Da Dai Liji this year. If the Chinese text can be included in the published translation we’d be very interested in putting a proposal together. Thanks, Michael! We don’t have plans to publish bi-lingual editions in this series, except perhaps in some rare cases. But stay tuned for an email about this, because I think there is a translation series that would be a good fit. This is wonderful news I’ve been looking for translations of Zhu Xi’s writings. Thank you so much I can’t wait. Glad to hear that, Dale. We’re excited too. It’s incredible that we made it to 2019 without a complete, book-length, “reader” on Zhu Xi.